If you are starting a workout regimen, you should strongly consider using a personal trainer – at least for the first few weeks. You will benefit in numerous ways from this type of professional, and you need to know the importance of a personal trainer. The first way that you benefit from a personal trainer is in the fact that without a trainer, you may be doing the exercises all wrong. A personal trainer can make sure that you are doing all of the exercises in the correct way, which not only helps you to reach your physical goals much faster, but also protects you from injury. People who do workouts without ever consulting a personal trainer find that they do not get the results that they want, and they are also more prone to injuries. For many forms of exercise, if you aren’t using the right form, you aren’t doing yourself any favors. For this purpose, you may only need a few sessions with a personal trainer. All of us have certain parts of our bodies that are just plain stubborn. It seems that no matter how hard we work on those muscles, they just will not cooperate and look the way that we want them to look. 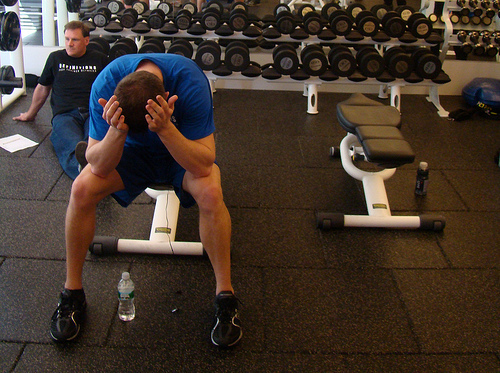 A personal trainer can help you to take care of those problems more effectively. They have the training and experience necessary to know exactly what exercises need to be done, to achieve the results that you want. Without this knowledge, you may as well be beating your head up against the wall. Many personal trainers also become nutritionists, or at the very least have a great deal of knowledge about nutrition, and the role that nutrition plays in making physical changes to your body. If your personal trainer gives you nutritional advice, make sure that you find out what his or her qualifications are for giving that information. If the personal trainer suggests supplements to you, first find out if the trainer is making some type of commission for you taking the supplements, and again, make sure that this person is qualified to give you this advice. If he or she is making a commission, this may not be the best supplement for you – make sure that it is safe, and consider checking with your doctor first. You can also opt to hire your own nutritionists for consultation or to help design a meal plan for you.